Stop us if you've heard this one before; Switch just got a port of a last-gen classic and it's selling like hotcakes. Super Meat Boy is the latest success story on Nintendo's latest hardware, despite having released on Wii U late in 2016. 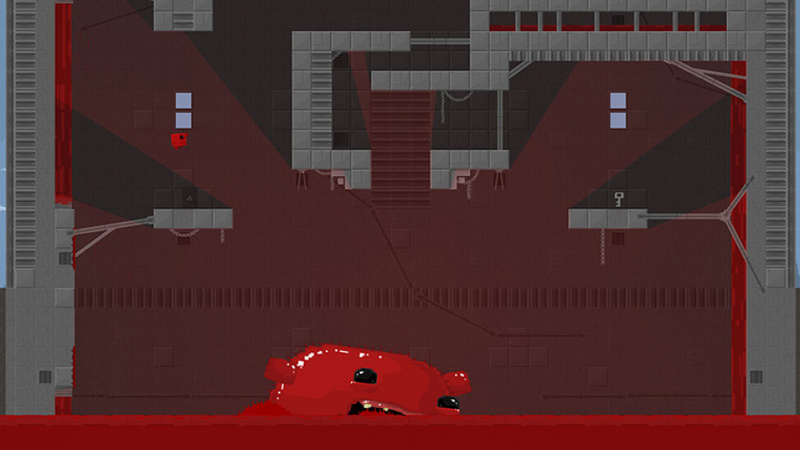 SMB is the brainchild of Binding Of Isaac creator Edmund McMillen, who started the Meat Boy franchise on Newgrounds in 2008. If you haven't played SMB before, you're in for a treat. It's an unforgiving, old-school style platformer, both mechanically and visually. Veterans of the 8-bit era will find it to be an exaggerated version of the hard games from the NES days. Jumps require pixel-perfect accuracy to avoid traps such as spikes, salt and blades that will reduce the titular Meat Boy to a puddle of blood. As with heroes of the games of old, his repertoire is limited, but effective. He has a blood-fueled dash, a jump that would make Mario blush and a wall-jump that behaves very similarly to that of Mega Man X. As with old games, you really only need two buttons, with the Y button controlling your dash and the B button controlling your jump. 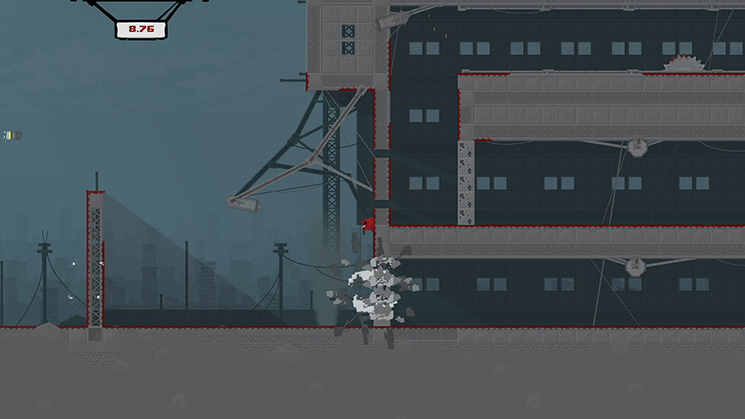 There are no enemies to speak of, save for the occasional boss, but all of the challenges you'll face involve navigating perilous environs to reunite Meat Boy with his main squeeze, Bandage Girl. At the end of each stage, the dastardly Professor Fetus will re-abduct said damsel, thus forcing you to continue on your path. SMB supports all the myriad control options available on Switch, so if you want to play on a single Joy-Con or the ridiculously comfortable Pro Controller, you're all set. We vastly prefer the Pro Controller to the other options available, but none feel as though they were a hindrance. Unfortunately, the Switch version of does not carry the original soundtrack, which many fans prefer. Team Meat has been unable to license the original soundtrack starting with the PlayStation 4 release of the game, and the same issues force its exclusion from the Switch incarnation. Aside from this change, the Switch port is identical to all others. All the levels and cutscenes are intact and accounted for. If you could clear every stage on your first attempt (you won't), the game likely wouldn't last long, but in reality, most players will spend dozens of hours trying to overcome each level's many trials (especially if you try to find all the retro-themed warp zones). We would love to see one specific addition to the Switch take, and that's support for video capture. While support for the feature is far from universal, SMB practically begs for it. The bespoke replay feature is decent and can be interesting in that it shows all of your attempts at once in the form of many, many Meat Boys meeting their demise while one succeeds, but there's no way to share your accomplishment with friends. Couple that with the fact that levels times often fall within Switch's 30 second video clip cap and you've got yourself a way to share an excellent, albeit still cult game with those that may not otherwise be aware of its existence. 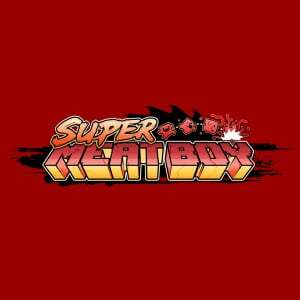 Super Meat Boy is another excellent indie addition to Switch's library. The short, but challenging levels are a perfect fit for portable play, and the game runs perfectly in both handheld and TV modes. The tight platforming mechanics and wealth of hidden warp zones, bandages and playable characters are enough to keep us coming back for more. We wish it would add support for video capture features, if only so we can brag about our accomplishments, but it doesn't hinder our enjoyment of the game. If you haven't played this on another platform, or just want to play it on the go, pick this up. Would you recommend this over The End is Nigh for someone that's played neither? I have played a bit of SMB on ps4 and like the concept..
@Daymonkey They are both the same with the end us neigh being, what I would call, an improved meatboy. That's my opinion anyway. I'm not a fan of either game though. I'll pass as it's available elsewhere. It would be good for those new to it though be warned it's a bit tough. Never played Meat Boy but I'm waiting for a physical copy. Glad it's a quality game but I'm done with super hard platformers for awhile. 100% picking this up when I finish up my (absurdly long) backlog. Heard way too many good things about this and platformers, both 2D and 3D, are my favorite genre. @Daymonkey The End is Nigh is harder, and as @Kalmaro said an improvement. 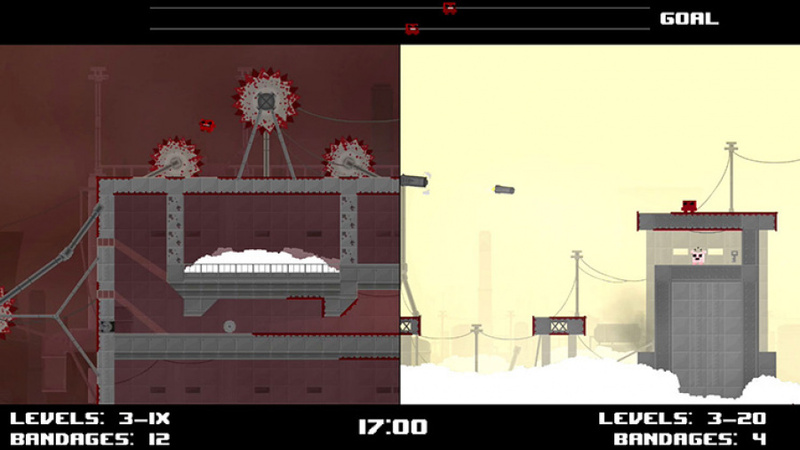 If you might play both I'd do Meat Boy first, as the other way around might seem like a step down. This one is more "beginner friendly" I'd say. @Daymonkey Why does it make you feel that way? @Paperboy just being totally tied to a TV. Literally couldn't think of much worse now (gaming wise). Have 2 young kids so switch brings me the freedom of playing more often. Plus ps4 doesn't seem as fun since owning a switch. Personal preference. Easily the best of the pure indie platformers genre. Slime san and ends is nigh are good but can't hold a candle to their inspiration which is so obviously this. my impression of this game is that it has one level that is unbeatable. @Daymonkey Contrary to others, I'd say SMB is much better than The End is Nigh. SMB has more interesting levels, better overall mechanics and IMO is just much more fun. SMB is one of the few games I'd call perfect (or as perfect a as game can be), whereas End is Nigh tried to change too much what made the first one so good. I don't really understand why NL subtracted 2 points though. If it's just the soundtrack, than maybe a 9 would be a better score. Lack of video capture (yet) surely isn't reason enough either. @feelinsupersonic That wouldn't be the first level, would it? @Daymonkey I think the end is neigh has better level design personally. This is easily one of the greatest platformers I have played. Super tight controls and hard difficulty that doesn't feel like it's cheap level design. @Daymonkey "The thought of turning on my ps4 the days makes me physically want to vomit." Wowsers. What did your PS4 do to you? Want to talk it out? This game really stands out as a difficulty challenge. It is sort of a game for masochists to be honest, the game is punishing to such an extent that I feel like you have to enjoy it. I know why this game is popular. But I dislike the type of extreme difficult that forces me to replay the same levels 30+ times. For those of you who like that, have fun. Doesn't sound like fun to me at all. Just brilliant, this game just takes platforming to another level. A game that will push you past your limits if you stick with it. A strong 9 only because the missing fantastic original soundtrack. It’s amazing how far your skills can evolve with these perfect control Machanic’s. SMB = Super Mario Bros. surely? Its a shame about the soundtrack. Its so integral to the gameplay flow and the themes of the stages. Its a love letter to old classics and the new music cant compare at all. Thought about buying it again until I read that it didnt have the original soundtrack. You can at least shave a point of the score just because of the music. Hope they can sort it out. The game deserves to be in its original form. @DanteSolablood Nah, Super Monkey Ball! Why does Nintendo Life give 7 or 8 to everything? @Daymonkey As somebody who has just played both for the first time I like SMB better. The End is Nigh feels simillar but different enough to be it's own game which is good. It's harder (with SMB being a very hard game on it's own). With that said I would play SMB first and then if I still want more when I'm done I would go and play The End is Nigh. Both are excellent but I still like SMB better. The atmosphere of the game, moving animations, level design, the way it incoroporates replays and encourages speed running and the controls which are the exact oposite (slipery VS tight) all come up to simply make the more fun experience for me. Plus the way SMB is a bit easier in whole makes for a good playing curve - start easier and move to harder. But with that said once again both are excellent games and you can't go wrong with either. I guess I'm one of the only ones who feels this way, but I really like the new soundtrack. I went back and listened to the old one, and it's catchier for sure, but the new one is more atmospheric. I don't want to pick one over the other, but I feel like those who complain about the old one being missing are still disappointed about the change, rather than taking the new soundtrack on its own merits. @Daymonkey I'm playing The End is Nigh at the moment and enjoying it, but I don't like it as much as Super Meat Boy. It's a bit more focused on exploration and puzzles than SMB, and I really like the pure platforming focus of Meat Boy. There's also a lot of backtracking in The End is Nigh if you want to finish it all--you can only start at the beginning of a world and move forward, or at the end and move backwards; you can't just choose to do a level where you're missing a collectable or a secret room. There are more moving parts in The End is Nigh--things like collapsing structures--and the repeated sound of the environmental destruction really annoys me when I have to keep retrying it. Having said that, it's really fun to sprint across a collapsing set of buildings, or narrowly escape as a ceiling falls down around you. Overall, I like them both, but Meat Boy is legendary for a reason, and I think The End is Nigh has failed to make as much of an impact because of small design choices, which are integral to the game but wind up leaving me enjoying it slightly less. The challenge is what I love most about this game, very challenging yet engaging. I was not there when the original hit so I don't care much about the soundtrack but the one's here sounds okay. As with most Switch eshop games I already played this lightyears ago. I really enjoyed it. I might get it again if there's enough fresh extra content, which there is. So yes. Getting it again. Multiplayer addition looks cool. 8 out of 10, even when you consider soundtrack issues. Yeeeeah, you can see that NL, didn't properly play this game exactly like their other reviews. I seem to only moan about games. I really didn't like Meat Boy. I tried to delete it from my steam account. I hated the aesthetic. I hated the sounds more than in any other game. I hated how difficult it was and more to the point how aimless everything felt. I'm probably more into story than just wasting time trying to get through tough levels for, what feels like to me, no reason. I say this only for balance! Surprised to see that it got only an 8. That said, I should've waited for the review before buying it (a second time). I only bought it because of the so-called 'race mode'. It turns out it's not a race mode at all, just the same platformer mode, only with two players competing against each other.